Storm Team 4 received several calls about the severe weather sirens going off Friday in the Town of Brookfield. Residents want to know why the siren sounded when the severe thunderstorm warning didn't impact their area. A weather spotter who lives in the town of Brookfield said he's worried residents may stop taking weather sirens seriously. Meanwhile, the Waukesha County Emergency Management said it's simply following protocol. "I'm like everybody else, I would think that you would be taking cover, most people would," said George Carrol. "That's what a tornado siren is for." Carroll heard the sirens blare around 9:45 Friday morning. "I checked my radar and it was still decreasing in size and nothing was going on," he said. The severe thunderstorm warning was for far western Waukesha County and Jefferson County. When Carroll looked outside he wasn't surprised to find signs of a sizable storm. "No wind, no hail, a little drizzle," he said. He believes there's no reason the Town of Brookfield's sirens should have been activated. Its neighbor's sirens didn't sound in the city of Brookfield. "Public safety is number one on my list," Carroll said. "If people are taking for granted that there's a tornado when there's a siren then they're going to take cover and the next time it goes off, 'oh well.'" 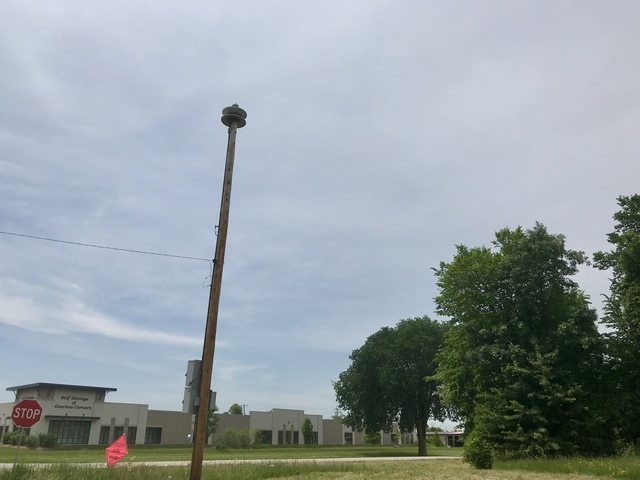 The town of Brookfield uses Waukesha County Emergency Management to run its weather sirens. Many villages, towns and cities across the county do the same if they cannot operate their own sirens. Waukesha County Emergency Management declined an on-camera interview, but a manager told TODAY'S TMJ4 that all of its sirens are sounded through a switchboard to make sure people are prepared, not just the impacted area. "There's nothing happening," Carroll said. Carroll thinks that's something that should change. A common misunderstanding is that Waukesha County Emergency Management only sounds sirens for tornados. They are activated for a variety of weather warnings including some severe thunderstorms like Friday.